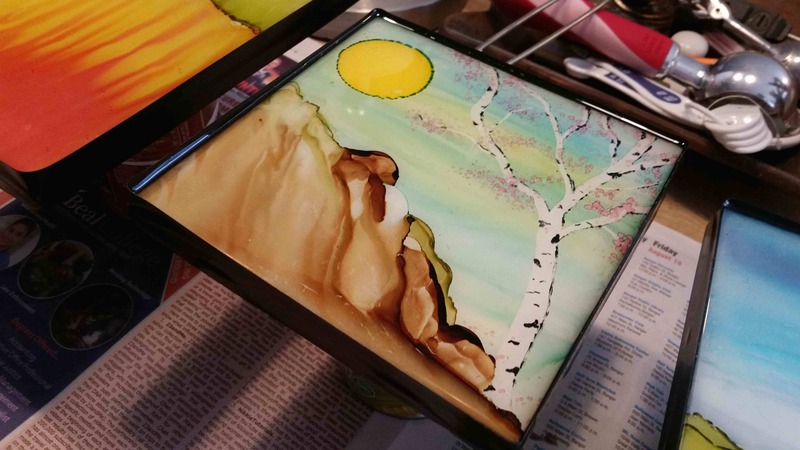 Alcohol Ink is an alcohol based pigment that is used to color non-porous surfaces such as glass, tile, metal and more. By the end of the workshop you’ll have at least 2 tiles for wall-hanging, and we’ll play with yupo paper as well (a synthetic water-color paper- essentially thin sheets of plastic). Bring: A smock or messy art clothes.